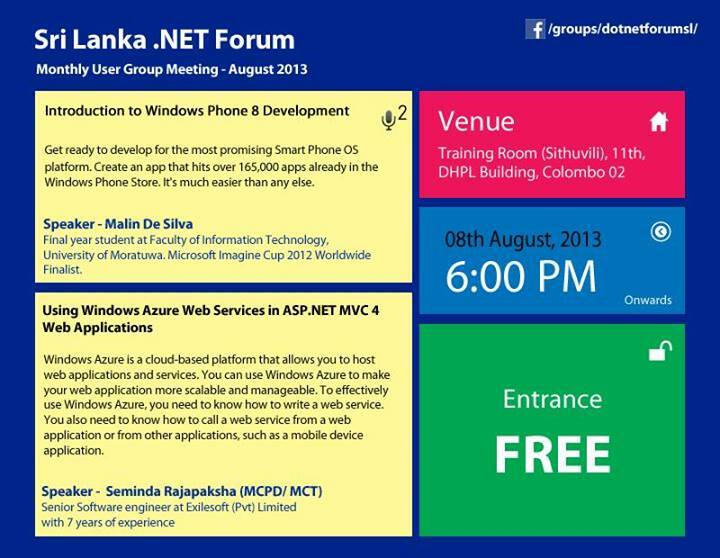 I got the opportunity to do my second Sri Lanka .NET Forum presentation on 8th August 2013. 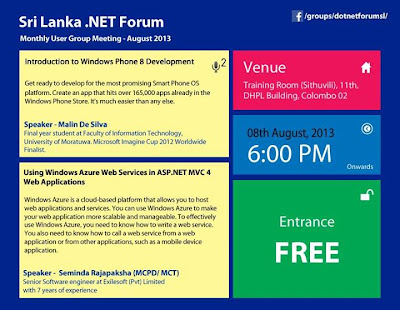 Even there were many presentations done by me on Windows Phone development at MS Champs Community and once for University of Kelaniya staff, this one looked bit different as the attendees are professional developers. So no free MSDN subscriptions or developer license for this crowd. As Windows Phone is an interesting topic for anybody who would love a smartphone, no need explain the interest of the crowd on the technology. The presentation took place after a fabulous presentation by MS Office MVP Dr. Nitin Sadashiv Paranjape which was scheduled at last minute. 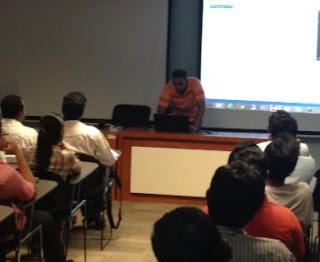 Got lot of good feedback from people who spoke after and it was always nice to see the interest on people starting to do development for Windows Phone. The last slide took place for a cool tool that Microsoft going to launch very soon and it will make Windows Phone development way far easier. The session was quick run and looking forward to do a much detailed session in a time where a slot is available again.